Have you ever been in a friendly poker game with a large pile of money on the table, watching the stakes rise on every turn of a card? 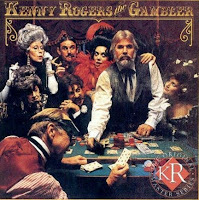 At that moment, Kenny Rogers begins to whisper in your ear those famous lyrics: “Know when to hold ‘em, know when to fold ‘em.” Well, it’s ten past midnight and I’m over 43 so it’s late for me and this has been declared the last hand . . . what should I do? Surprisingly, many charities are playing a similar game of chance with their donors — and believe me, the stakes are high . . . one can even say the charity is riding on it. The game is called “Gut-Check Strategy” and it’s played with the best intentions, but a majority of the time it falls well short of what is possible. It’s banking on an idea that comes from a gut feeling rather than proven methods based on analysis. Specifically, I see organizations play this game by using an arbitrary date to determine their definition of a current and lapsed donor. They’ve indoctrinated the notion that somehow donors become less important and therefore should have less contact if they haven’t given in the last 12, 18, 24, or 36 months — take your pick. Furthermore, I see charities using an arbitrary date to determine pre-lapsed donors so they can intensify their focus before they become lapsed. These are good intentions, but not the best approach, and I’ll go “all in” betting that you only want the best strategies for your organization. Let me encourage you with a better way of defining current and lapsed donors for your charity. A donor becomes lapsed and requires an alternative fundraising strategy when she or he is no longer an even-money proposition, meaning that your nonprofit is no longer at least breaking even on fundraising to that specific donor. Therefore, a $5 donor can become lapsed as quickly as 3 months but for a $500 donor it can be as late as 48 months or even longer. Can you see how using an arbitrary date (say 24 months) wastes money, because you’re going to mail that $5 donor the full 24 months with very little or no return on investment? Now in regards to the $500 donor, you’ll be leaving serious money on the table by no longer mailing that donor after 24 months, when they could be profitable for an additional 2 years. Unfortunately, many charities are placing value in the wrong metrics. They wager their long-term success based on short-term gains. For example, they think it’s wonderful to acquire 10,000 new donors every year . . . while not realizing the fact that 8,000 of those donors gave a gift of less than $20. This is bad because there is a direct correlation between a donor’s long-term value with their first gift to a charity. This example is one of the main reasons why nonprofits are not growing today . . . they’re unintentionally valuing quantity over quality and failing to understand the long-term implications of their marketing decisions. You can never stop someone from giving you $5, $10, or even $20 but you certainly can govern how much money you spend trying to get them to give again. You just been dealt a pair of aces worth of strategy — now what are you going to do about it? I’ll never forget the scene from the movie Rain Man where Tom Cruise and Dustin Hoffman are able to generate enormous amounts of money in Las Vegas because Dustin Hoffman’s character had the ability to count cards. His character knew exactly what was going to happen before it did. Conducting the right analysis on each and every point of contact with your donors will enable you to predict which one will be profitable and which will not. Now back to the poker game . . . that last hand ended up being very profitable for me, not because I stayed in and won mind you. On the contrary, I folded and took the rest of my winnings home with me. Often you can accomplish much more with less than you think.